Herrera, Juan Felipe. 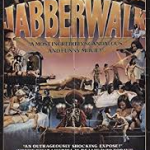 Jabberwalking. Poetry. Candlewick, 03/2018. 137pp. $22.99. 978-1-5362-0140-6. PB $14.99. 978-0-7636-9264-3. HIGH ADDITIONAL. GRADES 5-ADULT. Lewis Carroll composed the joyously nonsensical poem “Jab­berwocky.” Now, former U.S. Poet Laureate Juan Felipe Her­rera calls on readers to “jabberwalk”—or simultaneously walk and write—with similarly inventive verbal play. Herrera’s po­ems “burble” across the pages of this verse manifesto. The nar­rative plays with English and Spanish, evoking Herrera’s Cali­fornia Latino heritage and youth. The text varies in size, with thickly drawn b&w illustrations occasionally dotting the pages. The artful presentation, Herrera’s approachable and highly en­ergetic style, and his rich use of language offers much to appeal to readers. However, the book neither culminates in a clear call to writing action nor explains exactly how to jabberwalk. Best for older readers and libraries with larger poetry collections. This book has California-specific content.